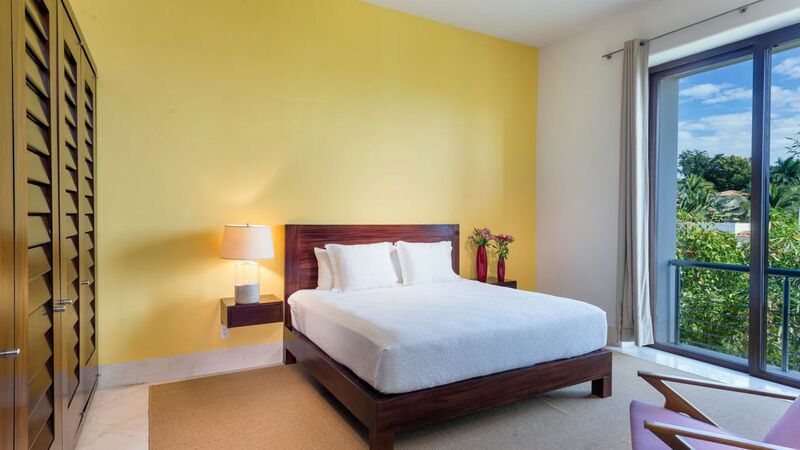 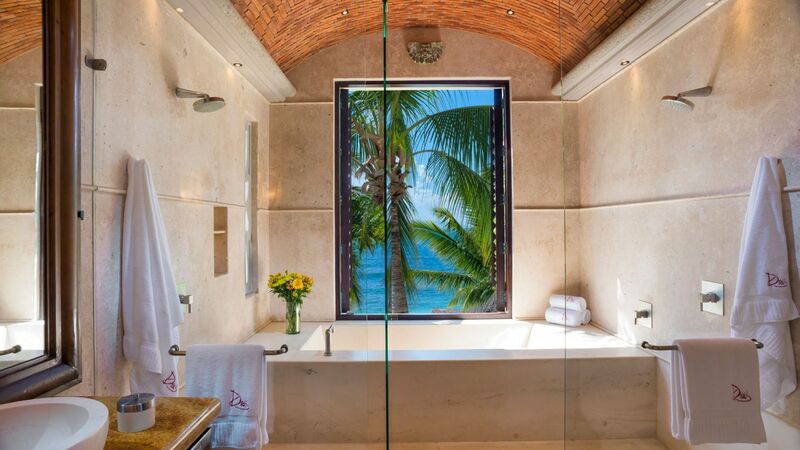 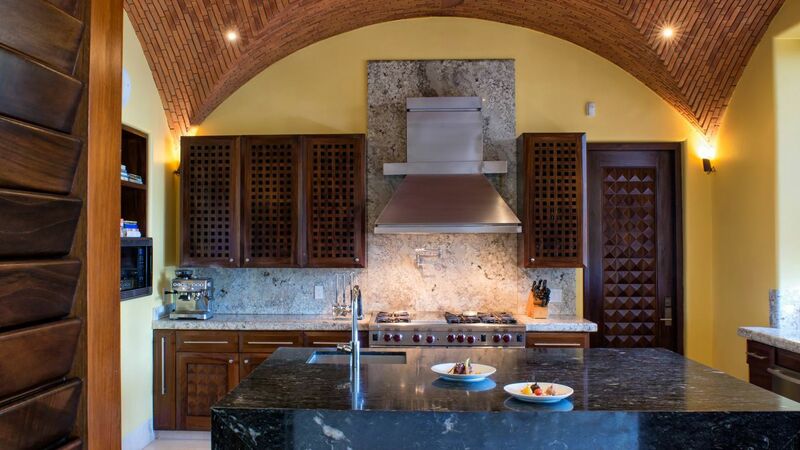 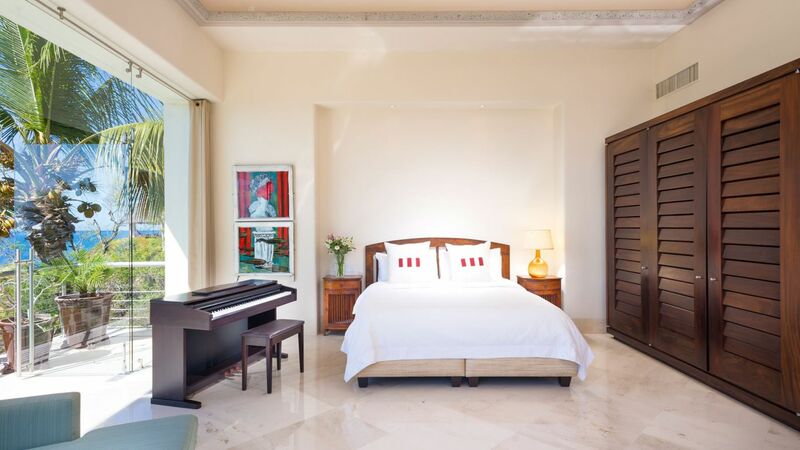 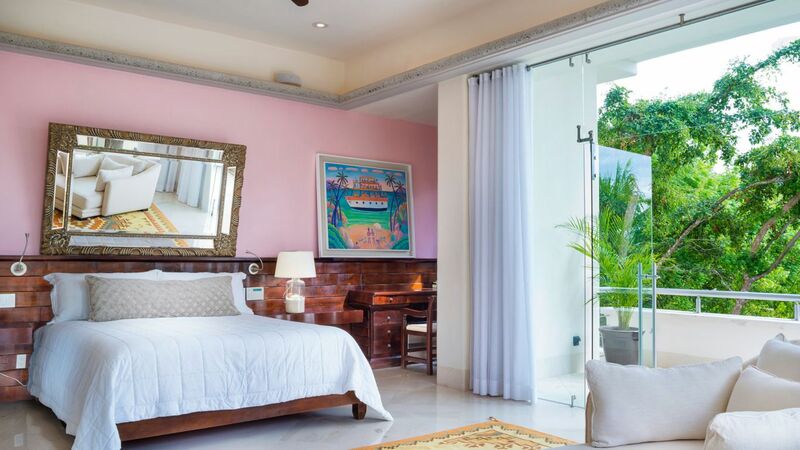 Villa Carolina is a luxurious home on a magnificent white sand beach – just steps away from a famous surf break. 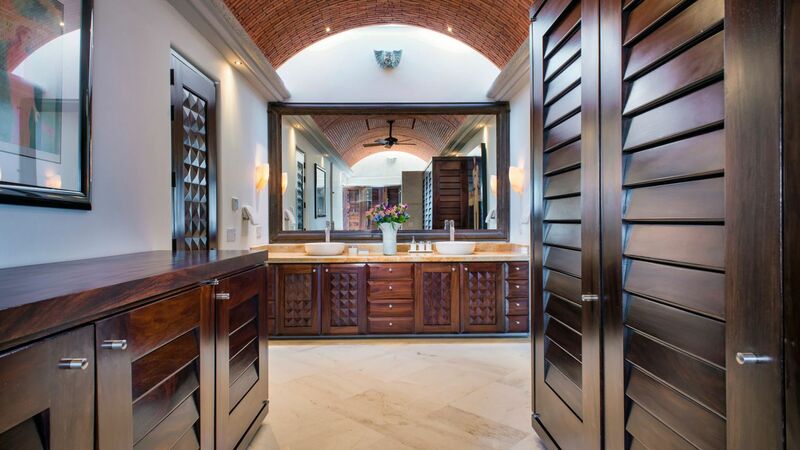 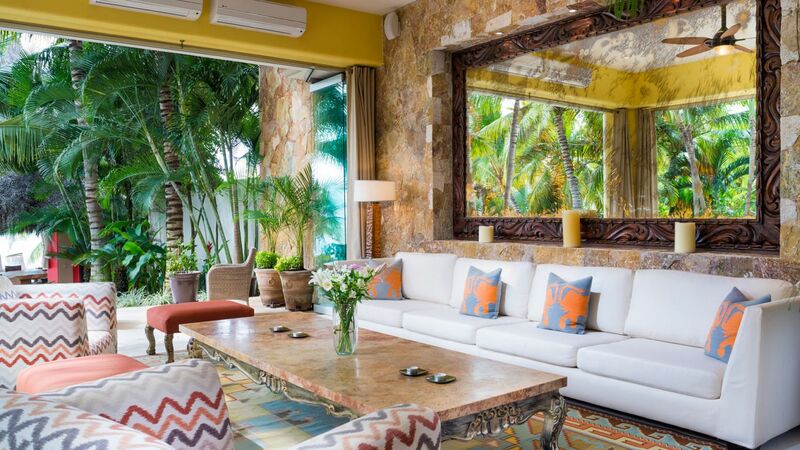 This upbeat home offers peace, privacy, and attention to excellence. 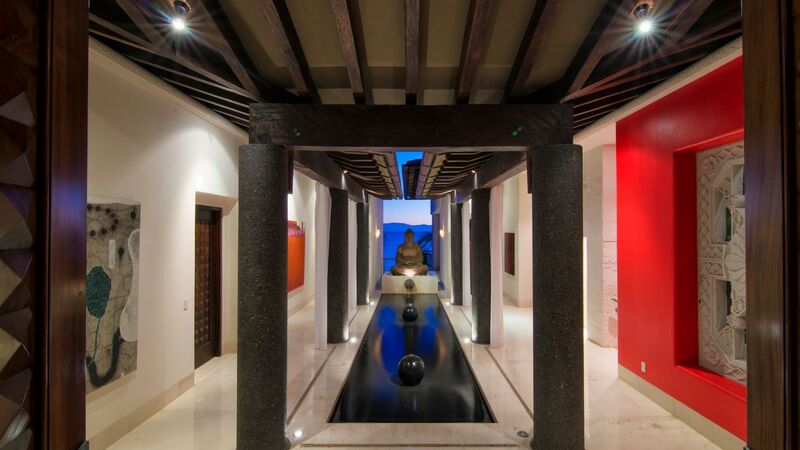 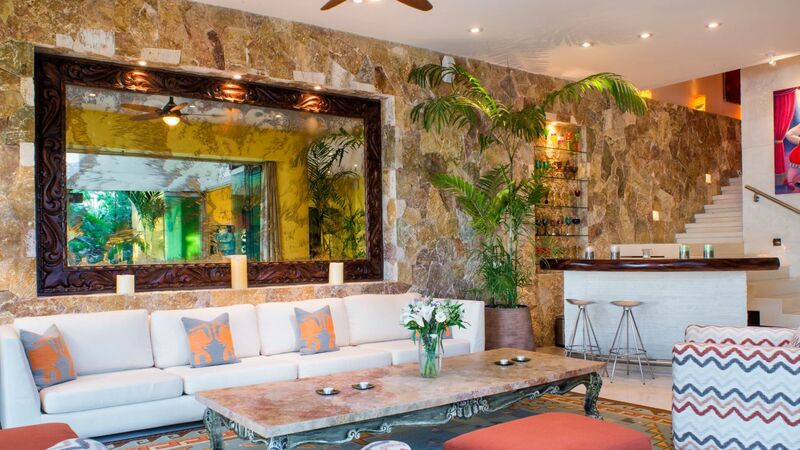 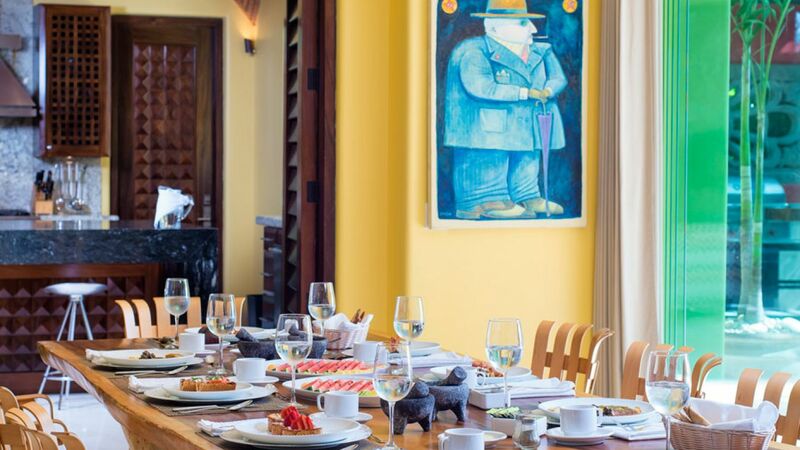 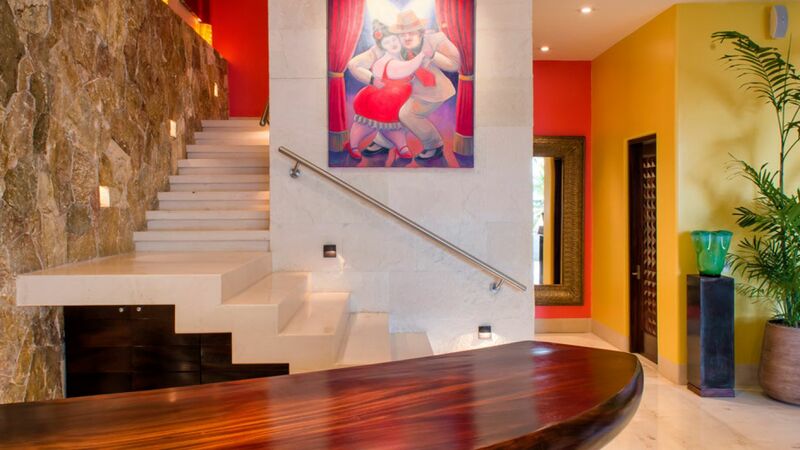 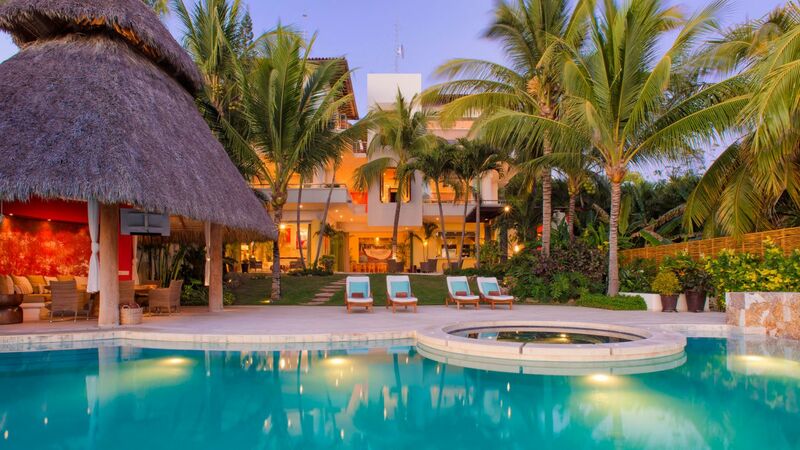 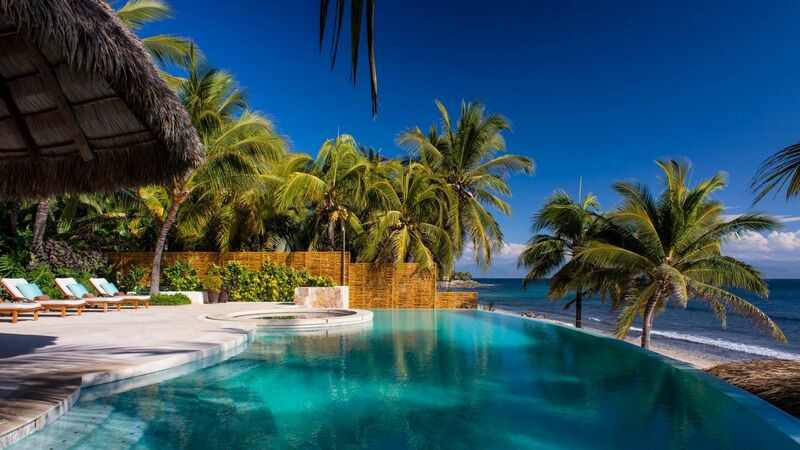 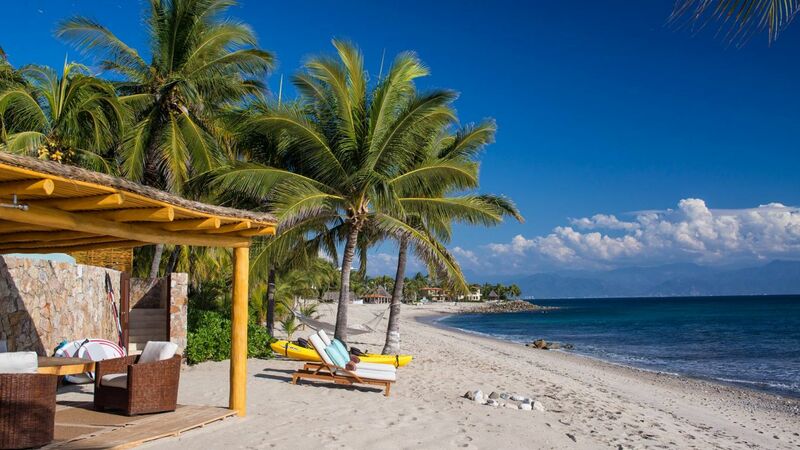 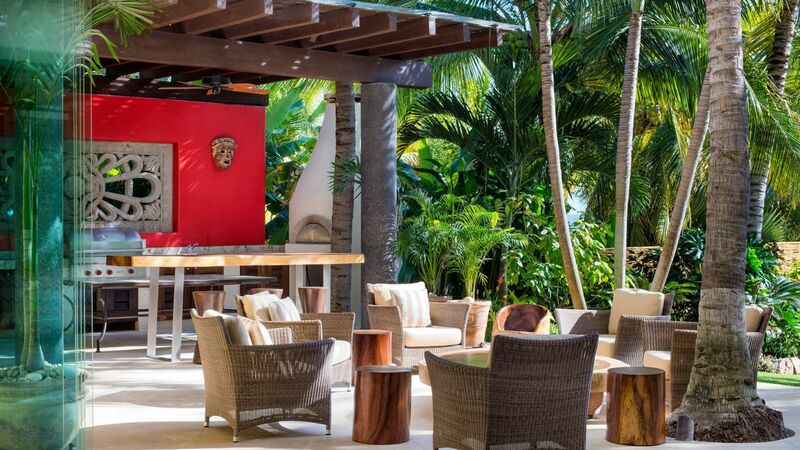 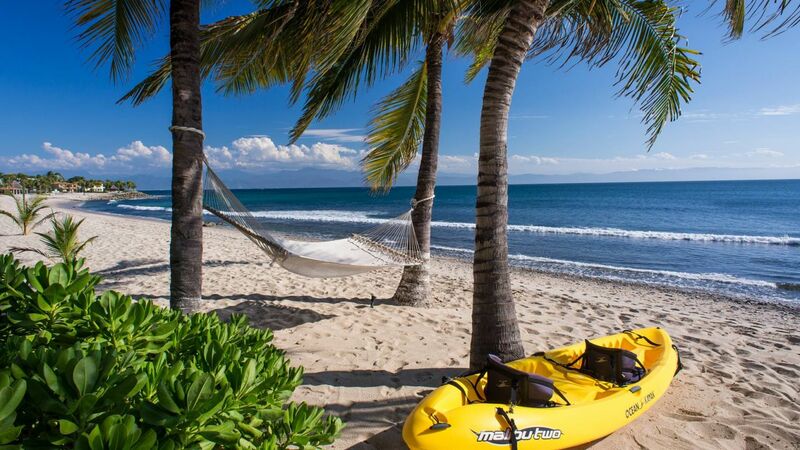 It's set in a secure neighborhood that’s away from all the hustle and bustle, yet near enough to be dining in the colorful seafood restaurants of Punta de Mita within ten minutes. 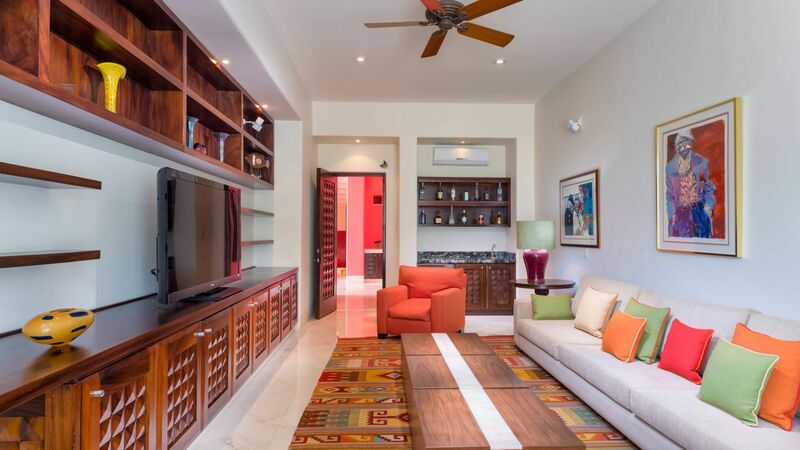 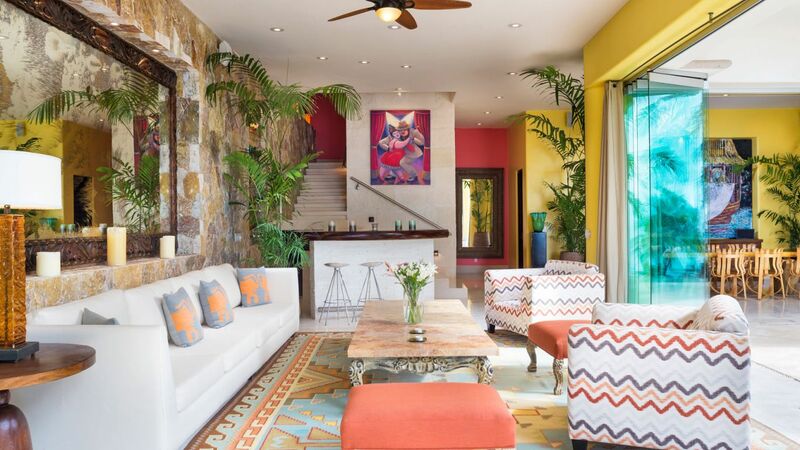 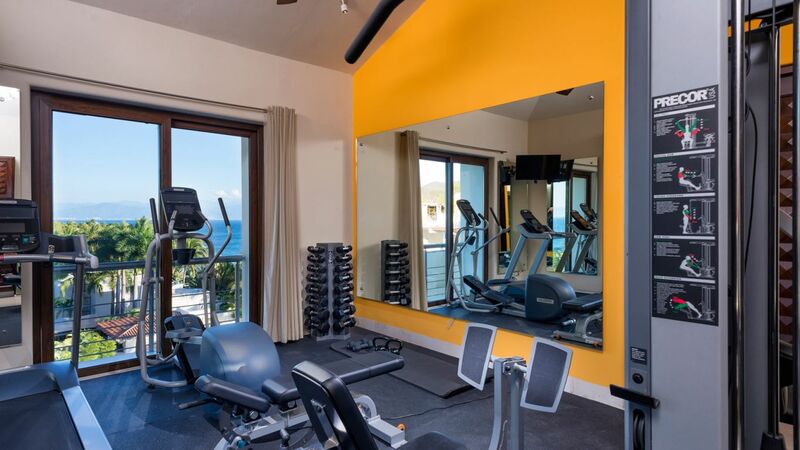 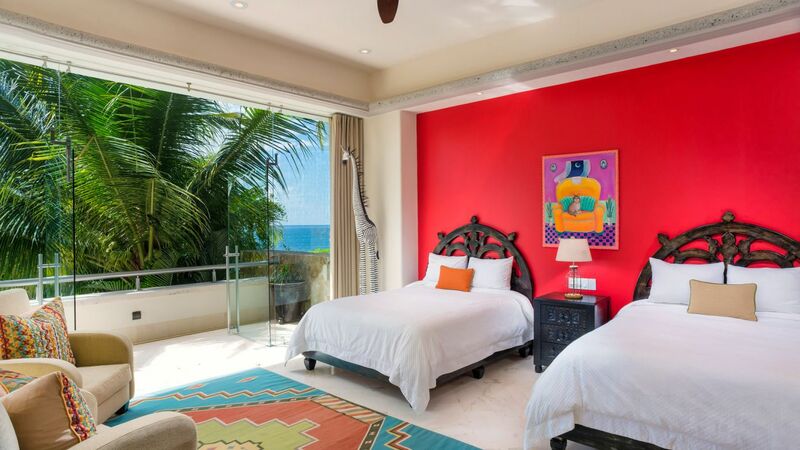 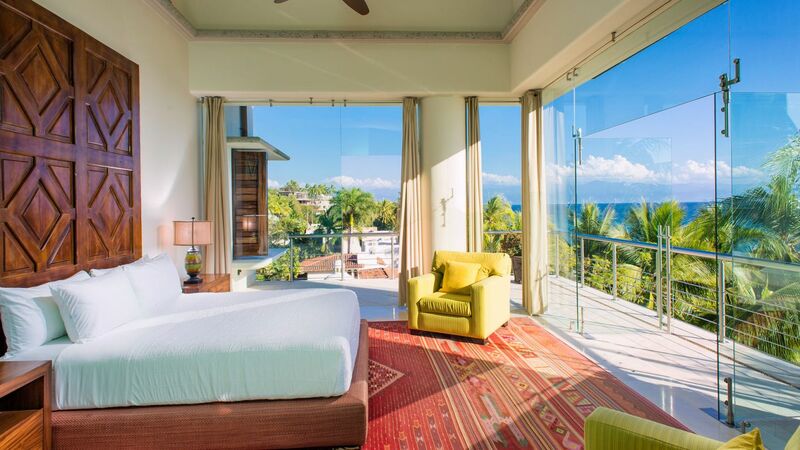 This impressive home features over-sized rooms, vibrant colors, fun furnishings, and magnificent views. 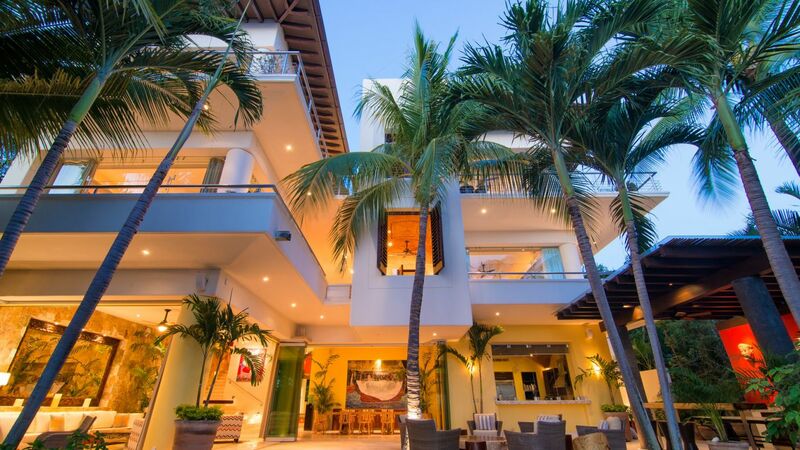 Its three floors include five bedrooms and a casita (for a total of six), a living room, dining room, media room, gym, and an elevator. 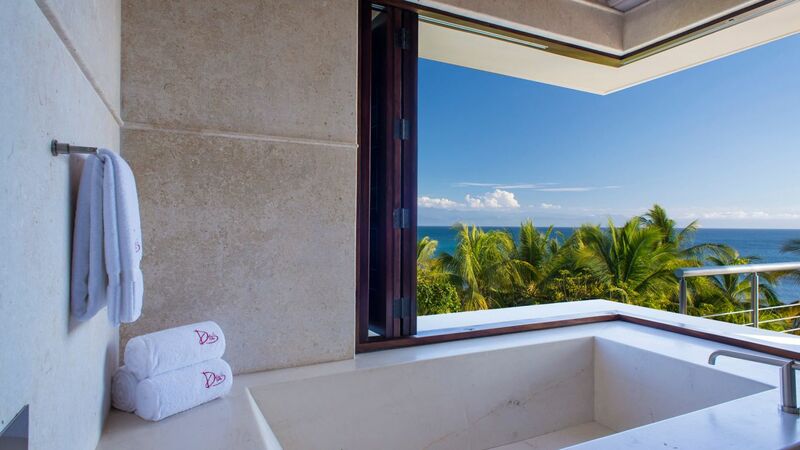 Most of the bedrooms come with private terraces that offer breathtaking views, and all are appointed with en-suite bathrooms. 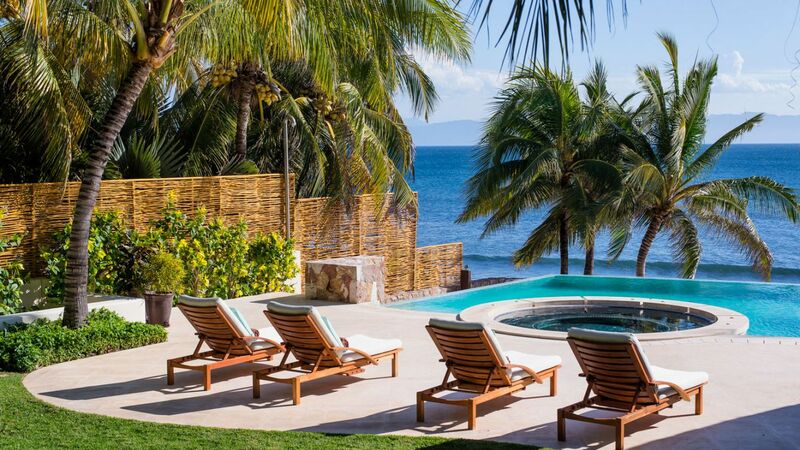 The outdoor terrace comes with loungers, a hut with a sitting area, a Jacuzzi, and a pool. 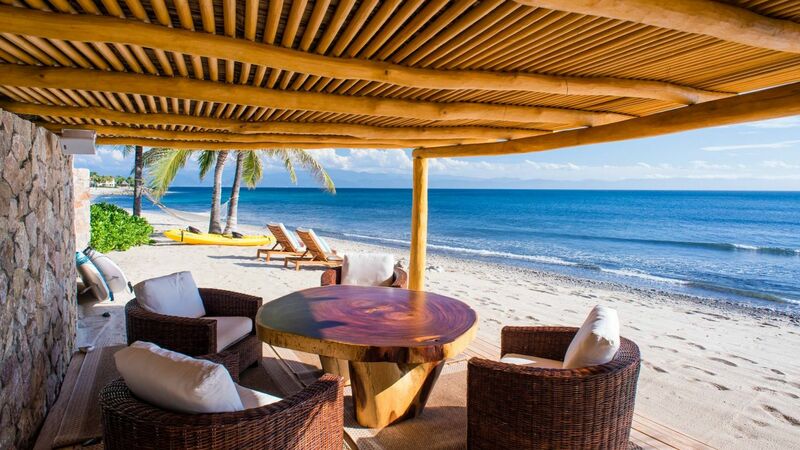 Beyond it is the home's pristine beach front with beach chairs and a shaded alfresco dining space.